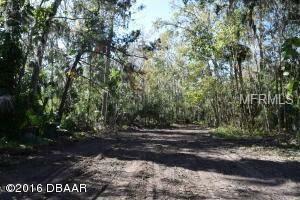 3 LOTS TO TRADE OR SALE902 CHIPPEWAY LANE IS .94 ACRES905 DUBBER LANE IS .26 ACRES23 TIMBER LANE IS .26 ACRES905 IS PRICED AT $15.900.00 902 IS PRICED AT $40,000.0023 TIMBERLANE IS PRICED AT $15.900.00TOTAL MARKET VALUE: $71,800.00WANT TO TRADE OR SELL 3 BEAUTIFUL BUILDING LOTS IN GOLF COURSE COMMUNITY HOLLY HILL/ORMOND BEACH, FLORIDA. RARE AND EXCEPTIONAL VALUE WITH A RECORDED DEVELOPMENT AGREEMENT WITH THE CITY OF HOLLY HILL.RIVIERA GOLF AND COUNTRY CLUB HAS ONE OF FLORIDA'S PREMIER GOLF COURSES HOSTING PGA AND OTHER ACTIVITIES SURE TO PLEASE ANY TASTE. BEACHES AT ORMOND BEACH OFFER GREAT ATLANTIC VIEWS AND WATER ACTIVITIES.903 CHIPPEWAY LANE IS .94 ACRES WITH PLENTY OF ROOM FOR PRIVACY AND EASY ACCESS TO MAIN ROADWAYS.905 DUBBER LANE IS .26 ACRES AND OFFERS EASY ACCESS AND PRIVACY.23 TIMBER LANE IS .26 ACRES WITH EASY ACCESS AND PRIVACY.I WOULD LIKE TO TRADE ALL THREE PROPERTIES FOR ANY KIND OF REAL ESTATE OF EQUAL OR GREATER VALUE, BUT WILL DIVIDE IF NECESSARY. Listing provided courtesy of David M Bass Real Estate. © 2019 Citrus County Association of Realtors. All rights reserved. Based on information from the Contra Costa Association of REALTORS® MLS as of 2019-04-25T19:54:41.92. All data, including all measurements and calculations of area, is obtained from various sources and has not been, and will not be, verified by broker or MLS. All information should be independently reviewed and verified for accuracy. Properties may or may not be listed by the office/agent presenting the information. IDX information is provided exclusively for consumers' personal, non-commercial use and may not be used for any purpose other than to identify prospective properties consumers may be interested in purchasing. © 2019 Hernando County Association of Realtors. All rights reserved. IDX information is provided exclusively for consumers' personal, non-commercial use and may not be used for any purpose other than to identify prospective properties consumers may be interested in purchasing. Information is deemed reliable but is not guaranteed accurate by the MLS or Team 54 of Re/Max Champions. Data last updated: 2019-04-25T19:29:03.653.